Riverview is an up and coming city just south of Brandon, FL and just minutes to Downtown Tampa, Tampa International Airport, Ybor City, St. Pete, I-4, I-75, I-275 and the Lee Roy Selmon Expressway. Riverview is so close to Tampa, that you can enjoy all of the Florida perks like Professional sporting events, Broadway Musicals, Orlando Theme Parks, Beautiful Historic Districts, shopping and top notch restaurants. The city of Riverview, as well as neighboring cities and towns, offers plenty of entertainment options for residents! Living in Riverview allows quick and easy access to everything exciting about Tampa without the traffic and congestion of living in larger cities. Sports lovers will enjoy attending Tampa Bay Buccaneers, Tampa Bay Rays and Tampa Bay Lightning games, or spending the day at a local golf course, all within driving distance from The Preserve at Alafia apartment community! Dining is a pleasure in the Riverview area; you are minutes from fresh seafood restaurants in St. Petersburg and Apollo Beach and amazing steak restaurants like Charlie’s and Burns Steakhouse in nearby Tampa. Visit Disney or Universal theme parks in less than an hour and enjoy true Broadway Shows at the Straz Center in downtown Tampa. Tampa is a beautiful city whose job market and population are growing at an astounding rate. It is the Place to Live and Work in Florida! Residents of our apartments near Brandon, FL will get the best of both worlds, because Riverview itself retains its small-town charm. Sitting alongside the Alafia River, there is plenty of outdoor relaxation and recreation to be found, from fishing and boating to hiking and camping. Our Riverview community, The Preserve at Alafia, offers luxury lakeside living for a fraction of the price! Our apartments for rent in Riverview, FL are located right off of I-75, giving you easy access to get to anywhere you need to go. Located just minutes from popular area shopping and dining options, the Tampa International Airport, and I-4, The Preserve at Alafia is in a premier Riverview location. Whether you are in the market for a one bedroom, two bedroom, or three bedroom Riverview, Fl apartments for rent, The Preserve at Alafia has it all! Newly renovated interiors featuring wood-style flooring, stainless steel appliances, and granite-style countertops will give you an incredible space to entertain friends and family. All of our floor plans feature a private patio or balcony overlooking the astonishing views around the community. But it doesn’t stop there! 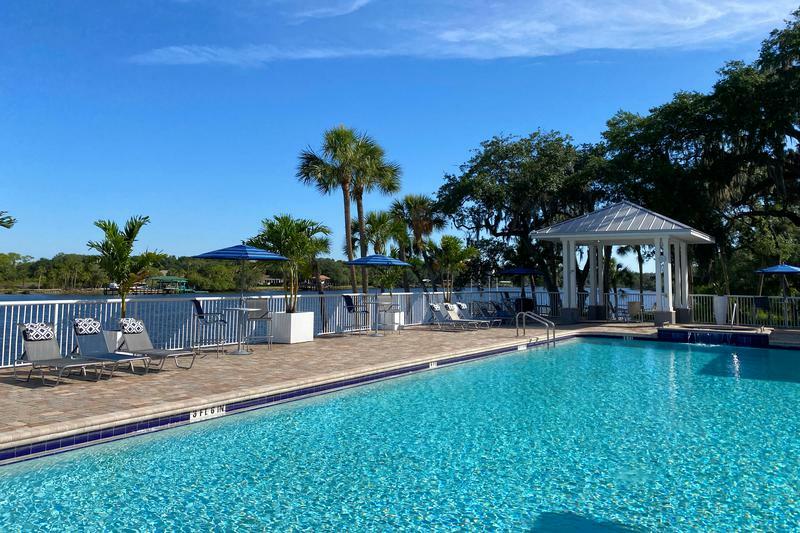 The Preserve at Alafia offers resort-style amenities such as a lakeside swimming pool with spa, expansive sundeck, large resident clubhouse, billiards room, fitness center, business center, free kayak & canoe rentals, a private beach and so much more. Living has never been so easy! Let Aspen Square help you find the luxury apartment in Riverview, FL you have been looking for! Come home to The Preserve at Alafia today and enjoy luxury Riverview apartments on the water’s edge.